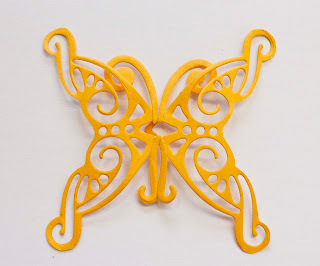 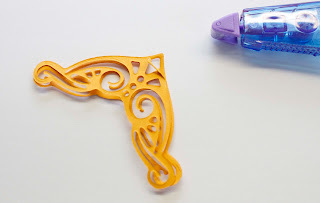 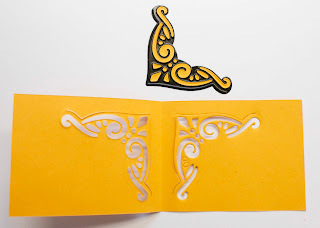 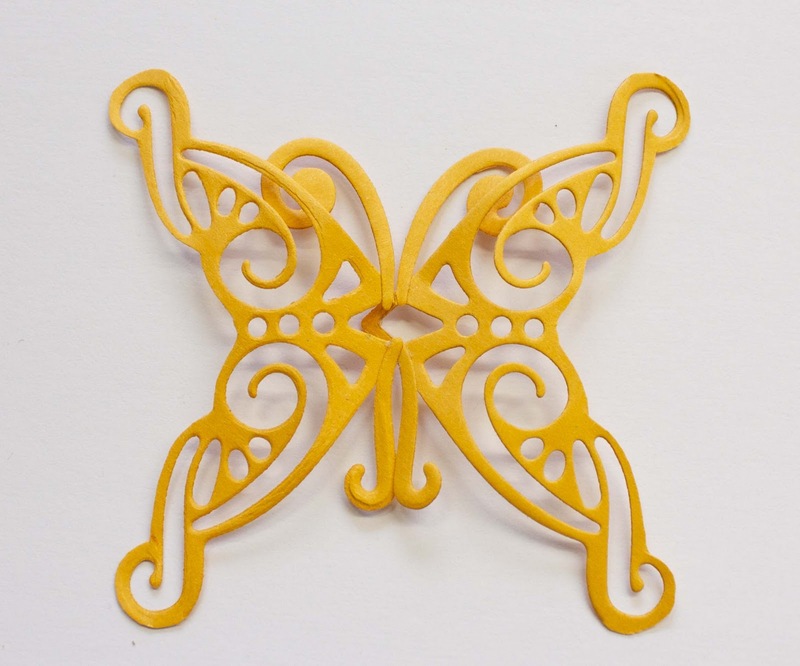 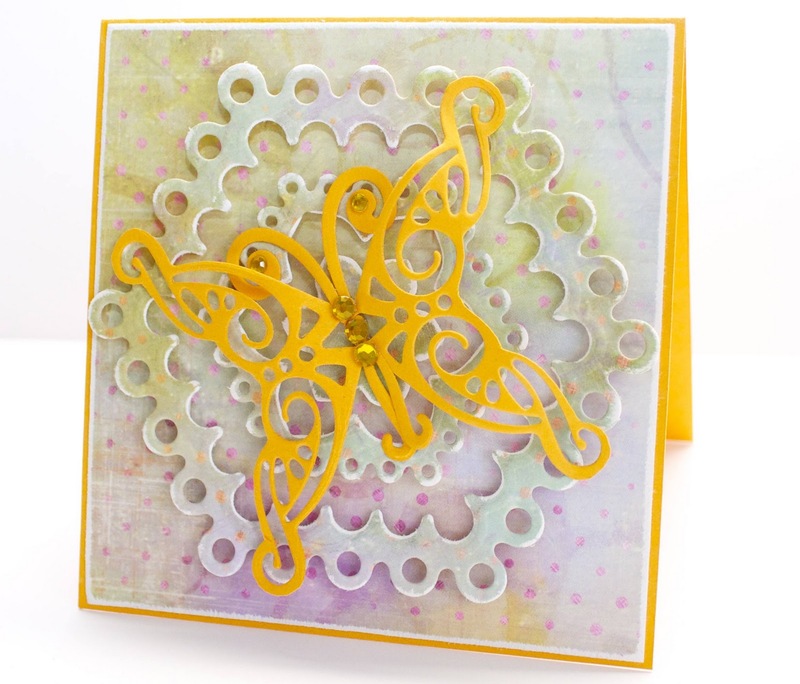 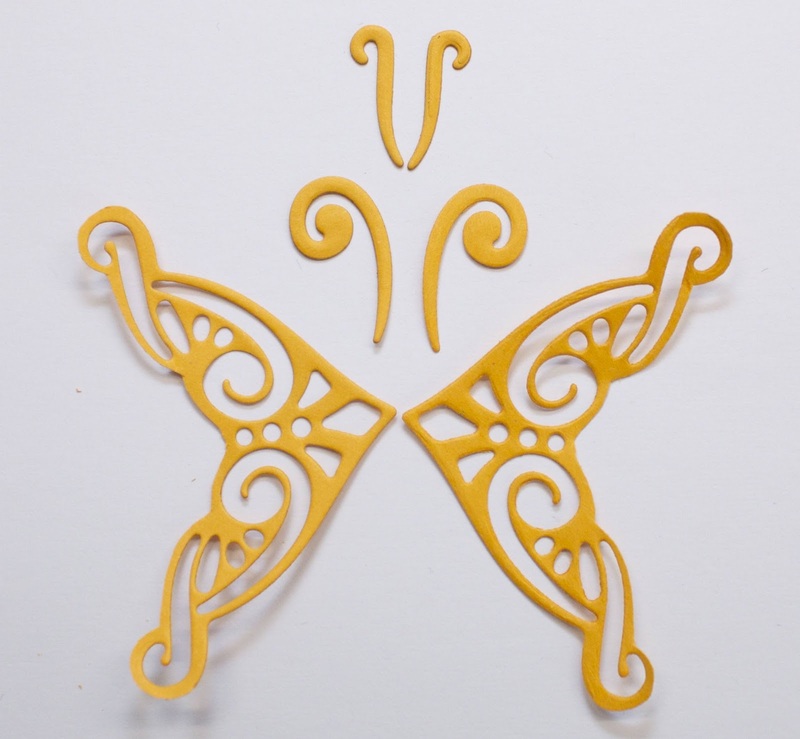 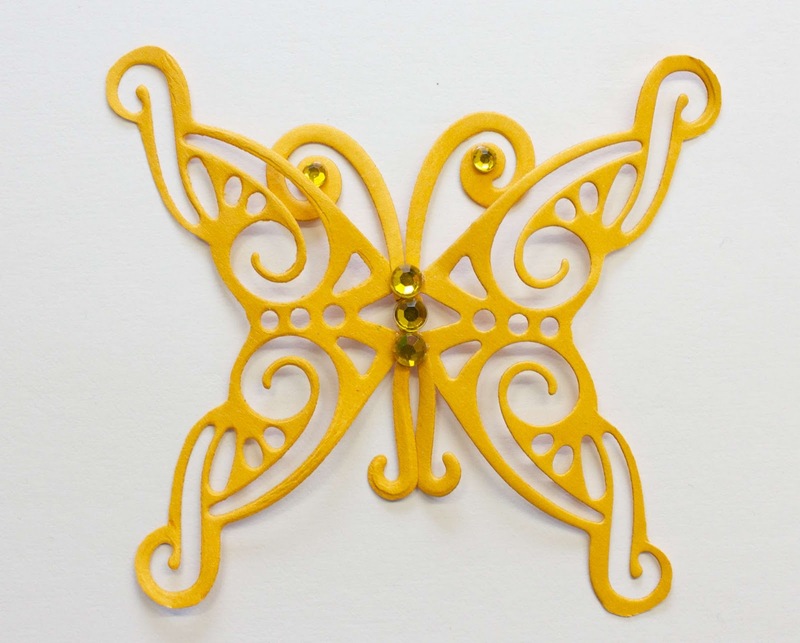 Today I will show you how to make a butterfly from Nellie Snellen corner dies MFD 027. 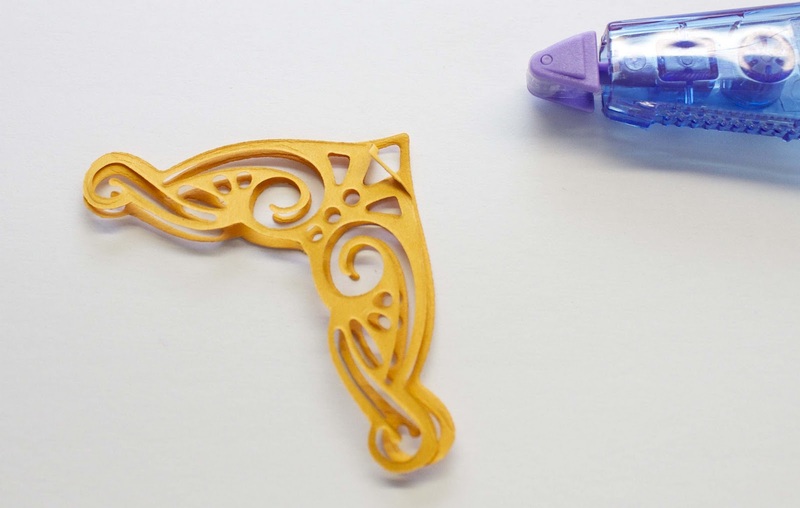 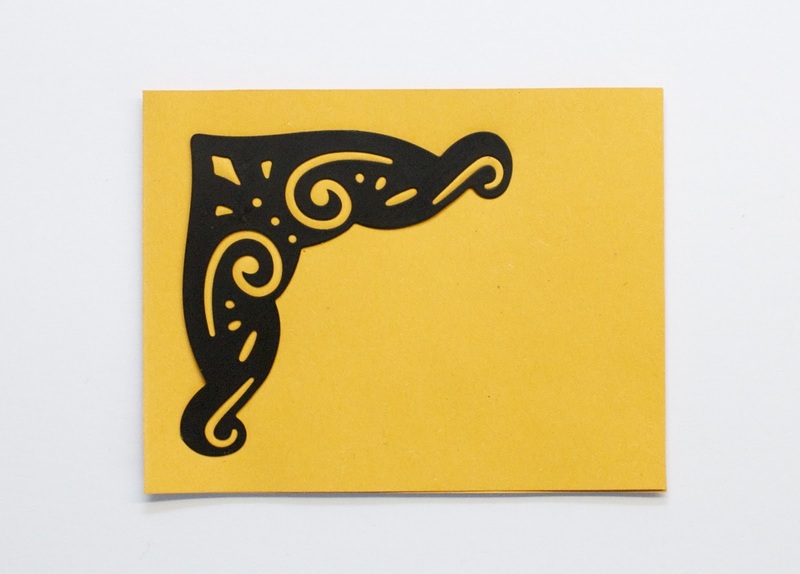 Cut out the shape using scissors. 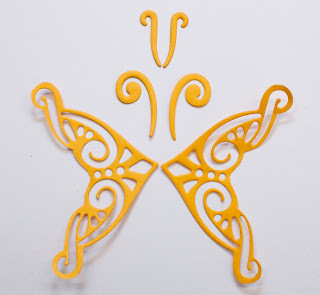 I cut both papers at the same time so the shape of the butterfly wings would be the same. 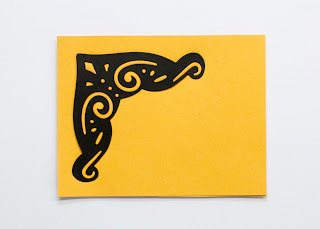 Therefore I folded paper at the begining. 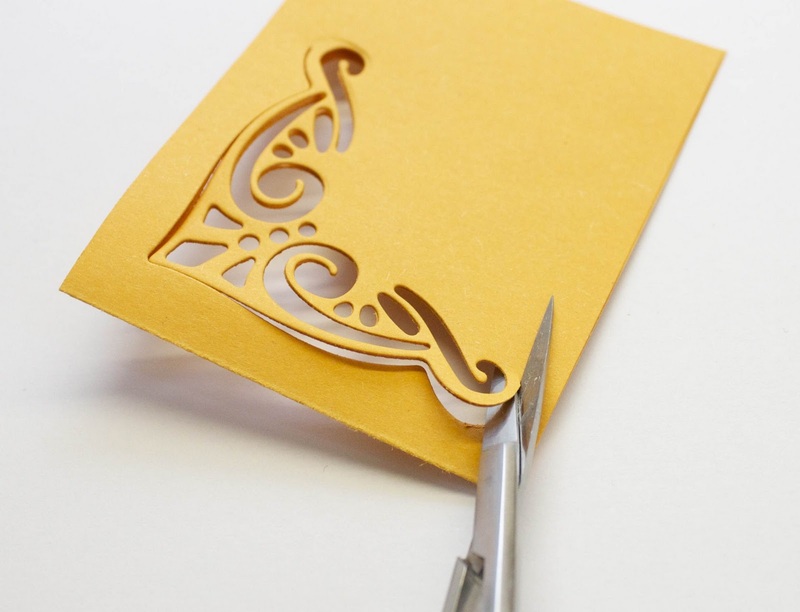 You can otherwise use non-permanent glue to hold papers together. 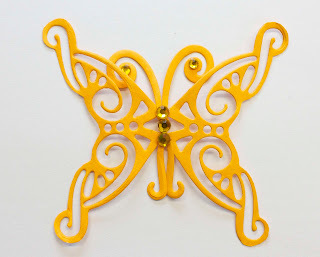 I used Nellie Snellen Strass-Stones to decorate a butterfly. 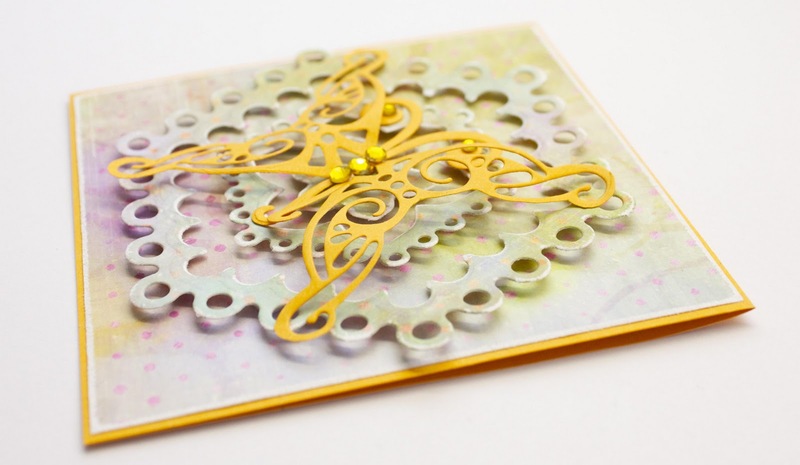 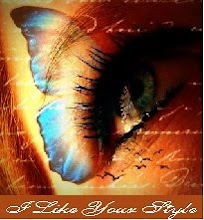 A card with butterfly... I used Nellie Snellen Dies MFD026 on a card as well.